Last weekend’s Future Car Challenge demonstrated that you don’t need to be giant international auto maker with a huge budget to build an energy-efficient vehicle. Nine of the top 10 finishers in the Brighton-to-London event were entered by small firms or privateers. The final ranking was decided according to the energy used to travel the 60-mile route, as independently measured by a team of white-coated boffins from London’s Imperial College. 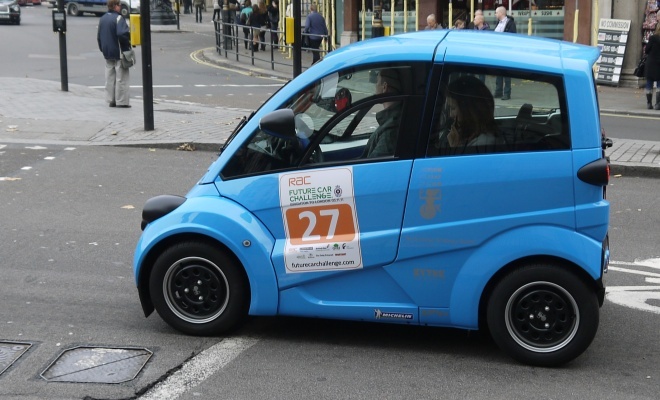 Top spot went to the T27 three-seat electric city car built by Gordon Murray Design with a budget of about £9m, which sounds a lot but is a half-eaten packet of peanuts in car industry terms. 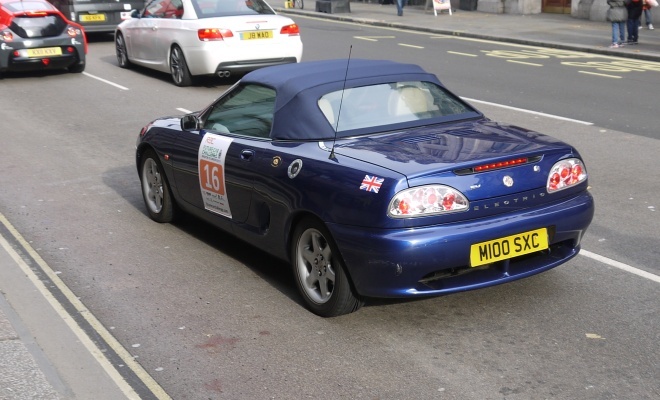 It completed the course using just 7kWh of energy – equivalent to 350mpg according to its maker’s calculations. 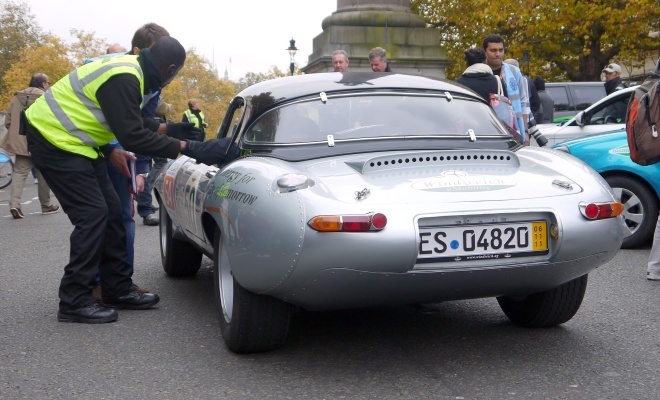 Next in line was a 1960s lightweight E-Type Jaguar, of all things, converted to electric drive to promote German wind-farm company Windreich. It posted a very impressive 8.5kW result. 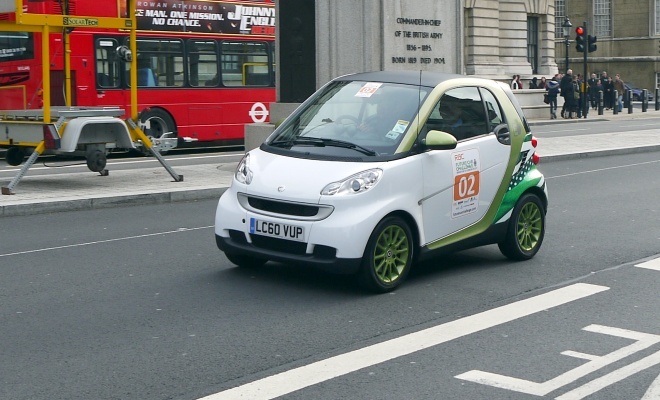 The Electric Vehicles Company must have been particularly pleased with its third place result, given that its converted Smart ForTwo EV trounced the trio of Smart ForTwo EDs entered by Mercedes-Benz UK. 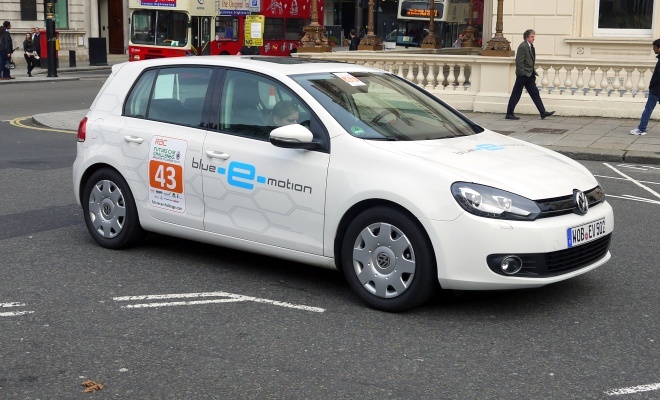 The best result from a big carmaker came next, in the shape of a Volkswagen Golf Blue-e-motion, recording a very creditable 10.1kWh. That is officially not bad at all for a medium-sized family hatchback. 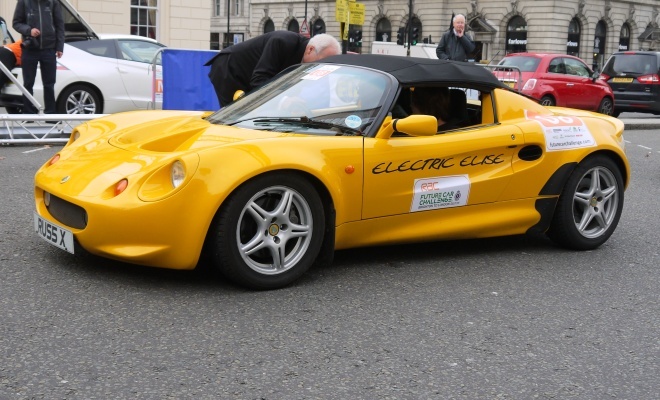 Privateer entries from Russ Sciville in his bright yellow converted Lotus Elise Electric and Neil Hutchinson in his more sober MGF EV came in fifth and sixth, followed by a gullwing Delta E-4, built by tiny Delta Motorsport. Overall, battery electric vehicles took the top 26 places, conclusively demonstrating the efficiency advantages of batteries and motors over piston engines and controlled explosions. The first entrant carrying an internal combustion engine was a Toyota Prius Plug-in hybrid with a score of 27.6kWh. It would have been great to compare the Toyota with other plug-in cars such as the Vauxhall Ampera and its Cheverolet Volt cousin, both of which took part in the event but declined to have their usage measured. Also missing from the final reckoning was Gordon Murray’s T25, the petrol-engined version of the winning T27. The T25 scooped first place in the previous year’s competition and ran again this year. With what looked like aerodynamic modifications to its front wings it might have bettered last year’s 96mpg score, which equates to about 25kWh. The T25 might thus have come first among the fossil-fuelled cars, ahead even of those helped along by a plug-in power boost, but we will never know. Interestingly, eco-driving skill seems to have been a relatively small factor in the results, with most of the different types of car achieving very similar scores where more than one was entered. The official Smart ForTwos all came home with virtually identical sub-18kWh results. All in all, a fascinating snapshot of the state of the art in efficient car design. I can’t wait for next November, and Future Car Challenge 2012.